People who have a huge collection of DVDs may want to copy and transfer DVD movies onto a Samsung Galaxy Note 4 which features QHD Super AMOLED display allowing people to view clean and sharp image and vivid colors even with their naked eyes. However, they just have no idea of how to do the DVD to Note 4 transferring. Most commercial DVDs are copy protected for there is encryption within. But it is still not an impossible task to watch DVD movies on a Samsung Galaxy Note 4. Pavtube DVDAid - a professional DVD to Note 4 converter, can make the DVD to Note 4 transfer happen. This Note 4 converter can remove DVD protection and rip DVD movies to video formats compatible with Samsung Galaxy Note 4. 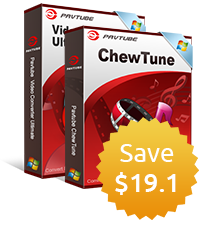 DVD ISO files, DVD IFO files, and DVD folders can also be handled excellently to any audio and video format suitable for portable devices, editing software, streaming media players, DLNA supported products, etc. How to transfer DVD collections into Samsung Galaxy Note 4? Run the DVD to Note 4 converter on Windows PC (Mac to Note 4 converter is also available), and click “File” ＞ “Load from disc” to import DVD movie to it. If you have some Blu-ray collections or video files that are incompatible with Note 4, just bring them to Samsung Galaxy Note 4 together with the DVDs for maximum entertainment. 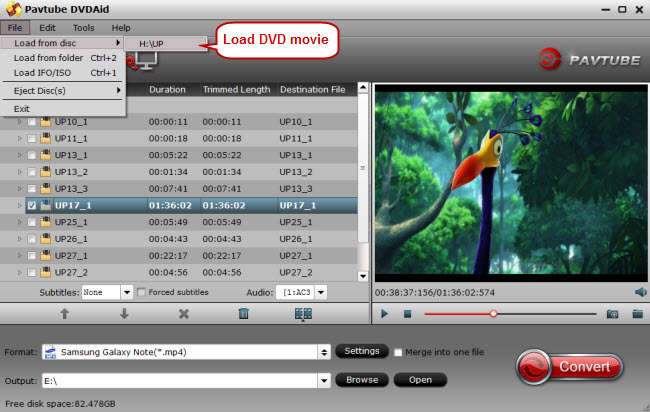 Click “Browse” to determine the output folder to save the DVD movie ready to be converted. Hit the big red button “Convert” to start converting DVD collections to Galaxy Note 4. If you don’t know how to transfer the converted DVD movies to your Samsung Galaxy Note 4, just follow these simple transfer ways: USB connection, use Window Media Player to sync media files or just use Samsung transfer tool Kies. Video Tutorial - How to Play DVD Collections on Samsung Galaxy Note 4?